WorD publishing-pgh was started in 2018 as a means to publish anthologies for the Pittsburgh, PA Write or Die, writing and critique group. Our mission is to aid WorD members when they wish to Indie publish their short story collections, novels and novelettes by giving them a publishing house name to work with. ​​Help us fund our annual events and future Write or Die anthologies by donating. Every dollar donated goes to Write or Die programs and authors.Thank you for your support! Welcome to the first Write or Die anthology. 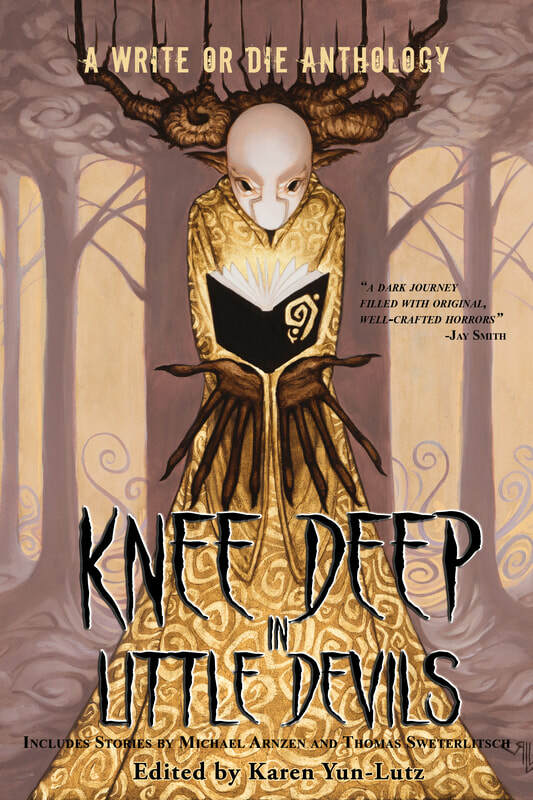 The short stories contained in Knee Deep in Little Devils were written for, and read during our first three annual Halloween reading events. They range from the preposterously frightful to the frightfully preposterous.